It’s been very hard to keep up with all the changes and new openings going on at Disney Springs. I’m attending a Disney Wedding in October and can’t wait to spend some time here checking out all the new stuff. But with all the changes be sure to check out the old standbys as they still have some great things to offer. 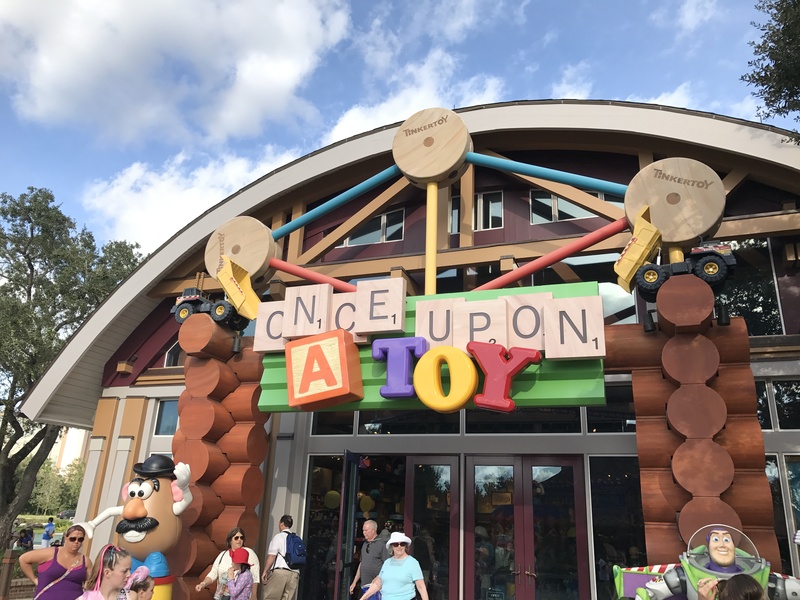 Down in the area towards the Rainforest Cafe is a pretty cool store called Once Upon a Toy. As the name implies this is just one huge toy store. When I visited in May this was one of the stops I needed to make as they had one of the new super multi-mega penny machines themed for Frozen with 8 unique designs and you can read out it here. Que the Star Wars music. I told you in my previous post that pressed coins seem to have ” gone to the dark side” (sorry couldn’t resist) with the Star Wars bug which is fantastic for us fans. 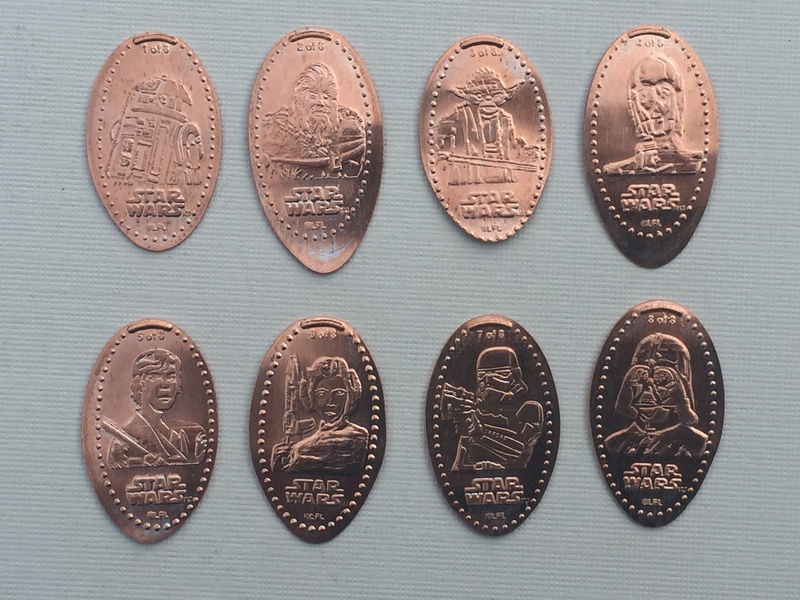 Shortly after the most recent machine at the Star Wars Galactic Outpost there is now a second 8-design penny machine. 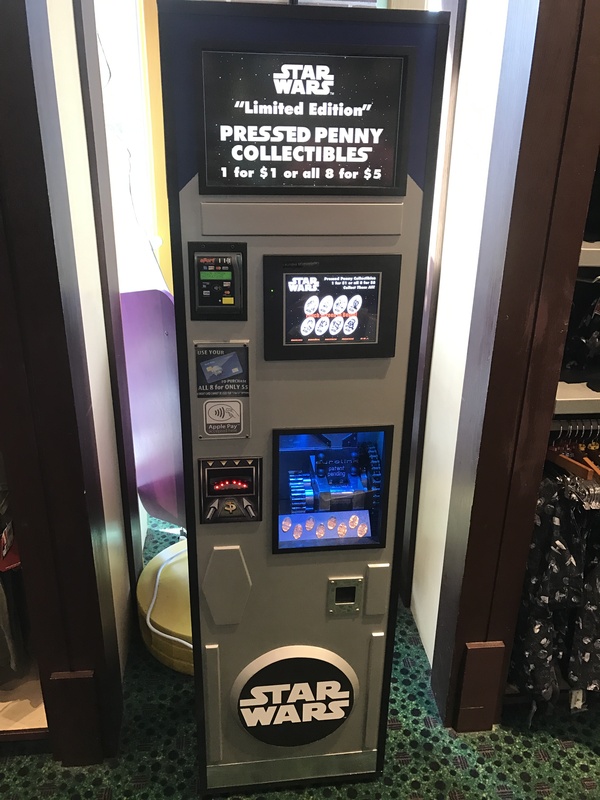 This machine is located in the far back area of the store where majority of the Star Wars merchandise is located. This set has each design numbers from 1 to 8, and includes the classic characters R2-D2, Chewbacca, Yoda, C-3PO, Luke Skywalker, Princess Leia, a Stormtrooper, and Darth Vader. As with the other Star Wars machine I haven’t personally been able to visit this machine yet, but did acquire a set to post about thanks to a co-worker that just happened to be visiting Disney this pas week. I actually sent her with a package to get some other coins from her resort which I’ll review shortly, but thankfully when she saw this machine and found out it was brand new she didn’t hesitate picking me up a set. I really do have my friends and family well-trained to always be on the lookout. Will Disney release any more Star Wars coins? Only time will tell but with their upcoming release schedule of about one new Star Wars moving a year for the next who knows how many years this is probably a huge new set that will be forever growing.